I will be posting a few assets that I have used in my games. Up for grabs if you wish to use them, with the due credits please. Such a misleading title, but I love the comments that are on this page. I appreciate them =D I originally intended for this page to be the home of my 3D models, but I’ve noticed that mine aren’t the best 3D models, so I’ve kept them safe into their home of KaramelLand. If, you happen to want a model, let know and I can share it. you really have a weird brain .. i can see that men your drawings .. it kinda reminded me of little big plant.. try to create your mushy caramel world so we can play.. 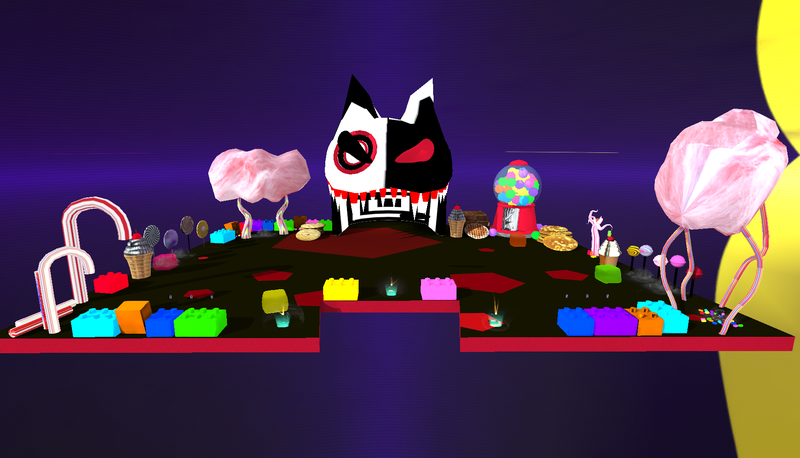 I agree with Mushide, creating this Map in Little big Planet would be a Nice Idea, its a really Creative and Colorful Map but you will also need a little story to it if you intend on creating it in Little Big Planet. It would be a Nice Idea to make it on Little Big Planet Karting where you wont have to worry on create any story and it would look really Good in a 3D Environment Instead of the Normal Little Big Planet 2.5D Environment.